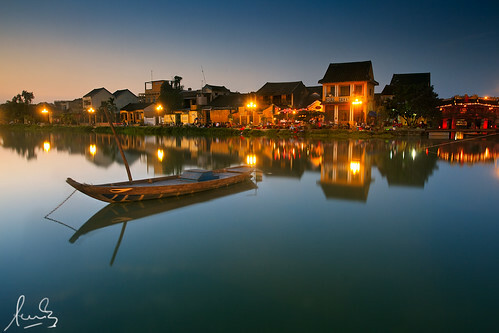 Hoi An a port town in south central Vietnam, is a Unesco World Heritage Listed town. Sunset descends on a tropical evening in this historic town. Two shots blended, one shot at iso 400 to freeze the boat, and a second shot for the water.